To win in business, you have to be as strategic as any team in the World Cup. We created this infographic with Baynote to show e-commerce players how to find success in a competitive marketplace. The new LEAP engine, manufactured by CFM, incorporates new breakthrough technologies to make it more fuel-efficient, cost-efficient and innovative. 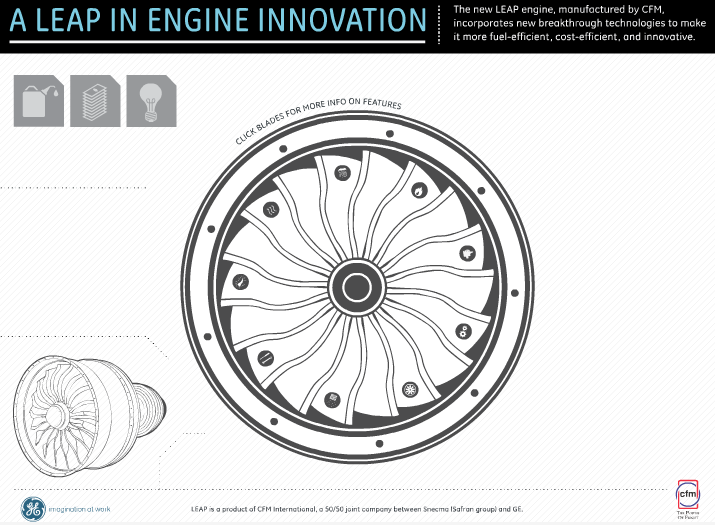 We created this interactive with GE to help teach consumers about the new LEAP technology. 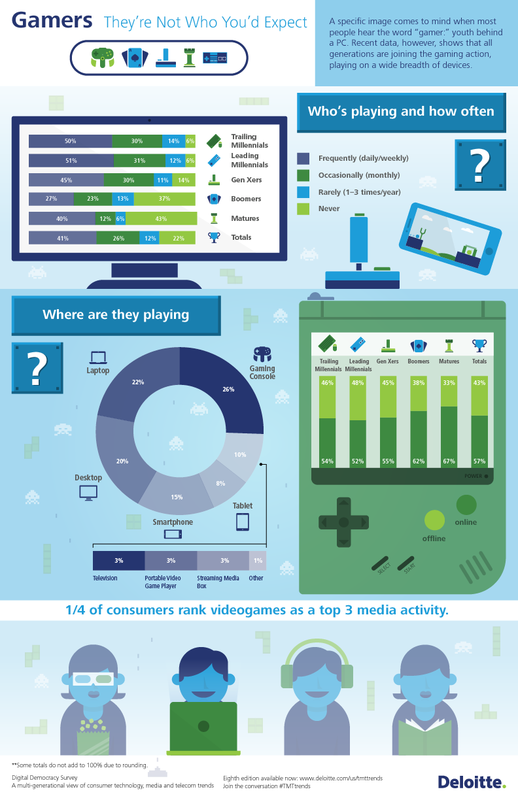 Gaming isn’t just for teenage boys in their parents’ basement; different generations are now picking up the controller. We partnered with Deloitte to visualize recent research that shows which groups are joining the fun. For many girls in developing nations, school is not always a sanctuary; it can be a dangerous place. We partnered with the The Locust Effect, an organization dedicated to fixing broken justice systems in developing nations, to create a motion graphic that sheds light on the challenges faced in the poorest parts of the world. Good financial habits start young, yet many teens aren’t familiar with the most common financial fundamentals. We created this graphic with Credit Loan to clue teens in, covering everything from gross income to student loans.